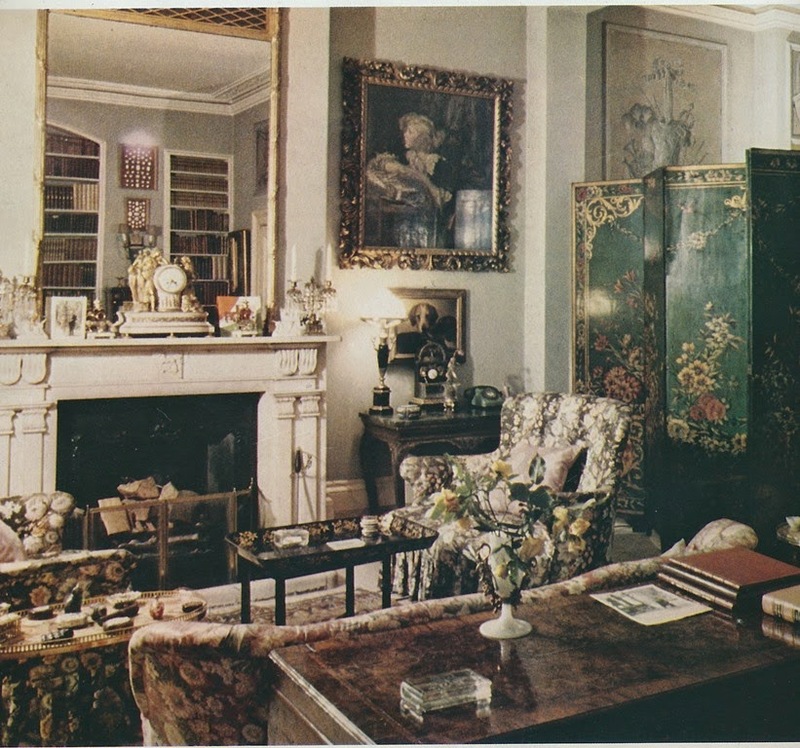 A perfectly judged interior of luxe items that still resolve into a comfortable, inviting and personal home. Those Battersby panels are amazing. I love how the interior, while intensely personal, reflects perfectly the cool elegance of the stuccoed terrace house facade. Well put, Quatorze. Luxurious, elegant, and yet comfortable, too. 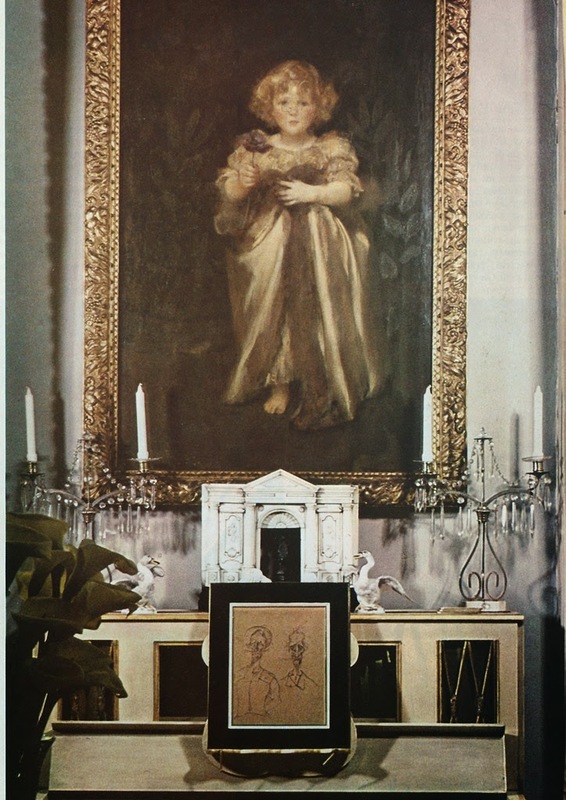 "These photos might be forty years old, but isn't it refreshing to see a home whose interiors don't seek to impress through impertinence, flamboyance, or ill-advised efforts at originality? " It won't surprise you that this post and that last line, pretty much made my day! Thanks for sharing these seldom seen photographs. Toby, knowing you, I'm not surprised in the least! There is so much to admire about this home. I adore every inch of it! ADORE!!!!! These rooms are as timeless now as they were then. And Jennifer, I appreciate your comment on ".....ill-advised efforts of originality." I think too many designers today try to "force" new concepts into a room, thinking their placement of an object or piece of furniture will "pop," when itstead it "flops." These rooms look formal, but very inviting, and not at all "too precious" to use. Thanks much for sharing them. Anon- Well said! I agree with you 100%. The portraits and Battersby panels are wonderful. This is such a chic, comforting home! Karena, Aren't those Battersby panels divine? 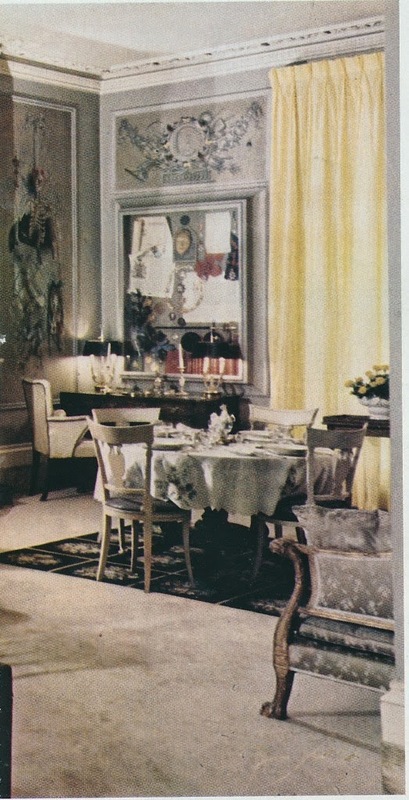 More pictures of this house plus commentary in "the Englishwoman's House" edited by Alvilde Lees-Milne, 1984. I believe that I checked that book out from my local library many years ago. I should buy a copy of it for my own collection. lt is one of my favorites ever! Ah, the English. Only they understand how to create an interior filled with museum quality furnishings and then make it into a comfortable, warm, personal room with chintz slipcovers on comfortable chairs and sofas. Such rooms never look dated or contrived. 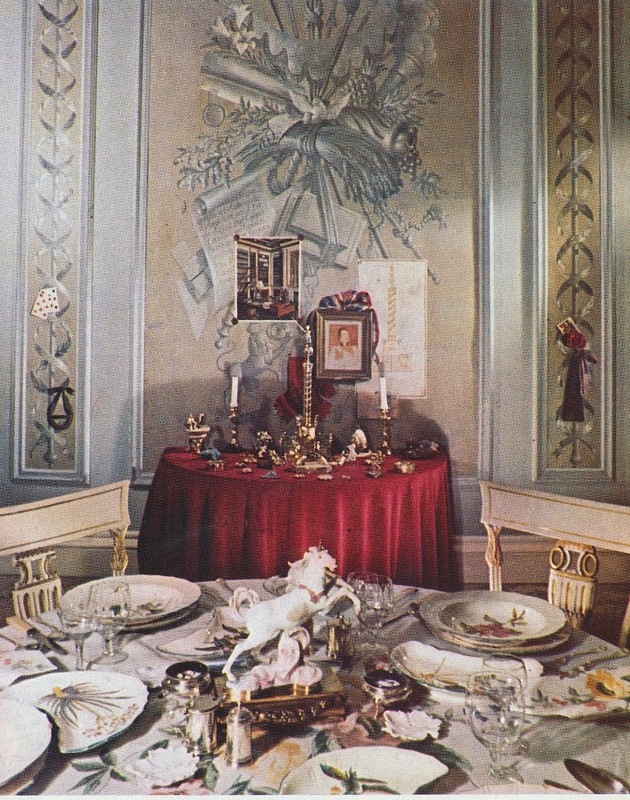 I'm afraid that even the younger English no longer appreciate such rooms, if the homes featured in the British House & Garden are a true example. If you want to see (in the background) more of this kind of design (is it even really "design"? ), go on YouTube and pull up a documentary about debutantes in the last "Season" of 1939. 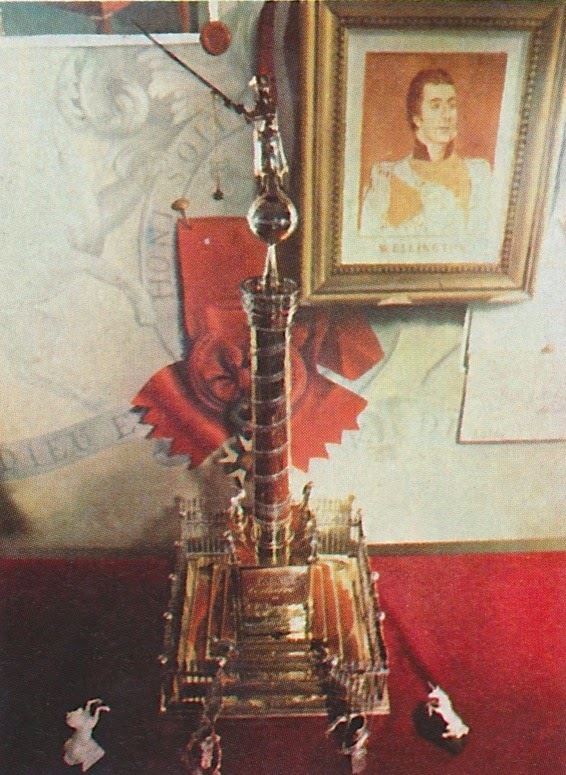 Various debutantes and young men from that era are interviewed in their homes, all of which have exactly this same feeling - priceless objects used with comfort and warmth. srb- You are quite right. This style of decorating (although, like you, I hesitate to call it a style) never looks dated. Thank you for the YouTube suggestion. I know what I will be watching this evening. Does anyone know what became of the Battersby panels??? 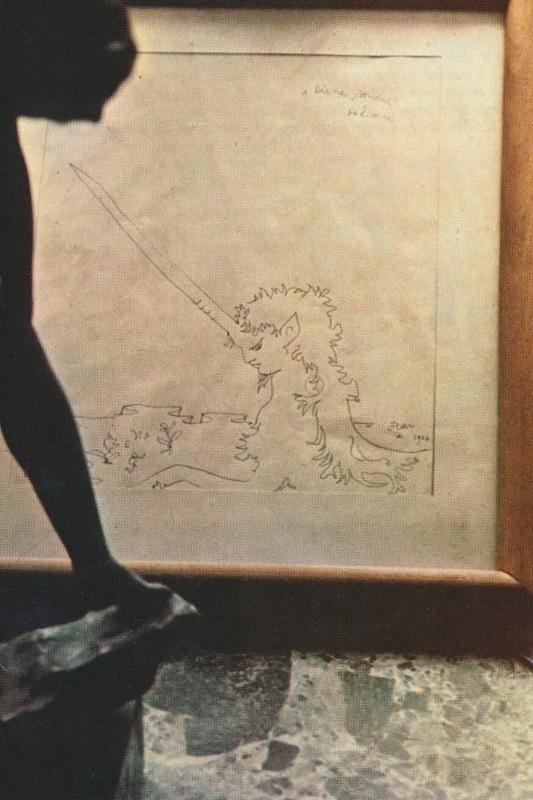 Were they painted directly onto the wall??? Lordy! Jennifer, thank you for this. I’ve always loved this house, since I first saw it in (I think) the very first edition of Interiors, back in 1981. The downstairs loo was especially grand with Empire wallpaper and a portrait of the young Queen Victoria. In the second volume of her autobiography there are photographs of her Gower Street house in the then unfashionable Bloomsbury. 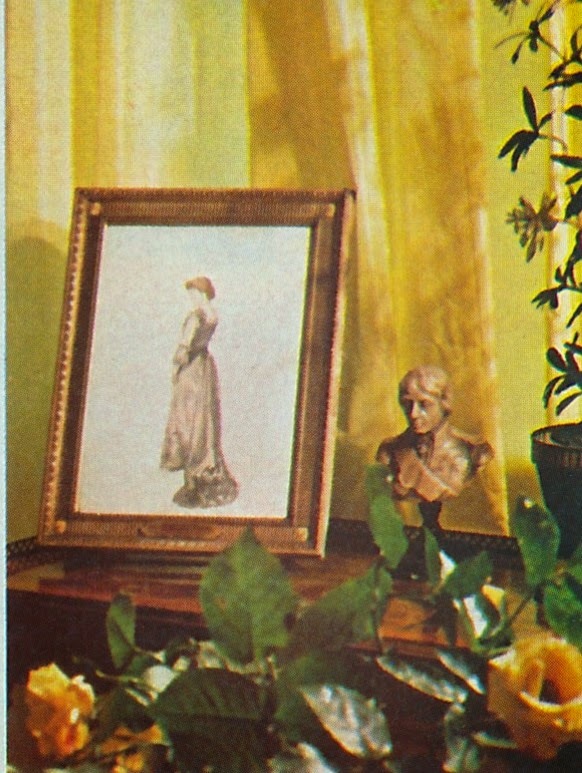 I gather that Lady D was one of the first pioneers to champion the Empire style in her Bloomsbury house. I couldn’t agree with you more about it- there’s no attempt at a ‘style’ (the very idea! ), it’s not very considered. She just surrounded herself with things she liked- both inherited and bought and created a slightly countrified London house, with a French twist. I seem to remember from the Interiors feature that the back garden looked like woodland, with old trees. You can sometimes get this in London houses, especially in Little Venice, which has some lovely gardens: french windows which open onto a semi-rural setting. If you shut your ears to the noise of cars and aeroplanes, you could almost be in Oxfordshire- or somewhere. 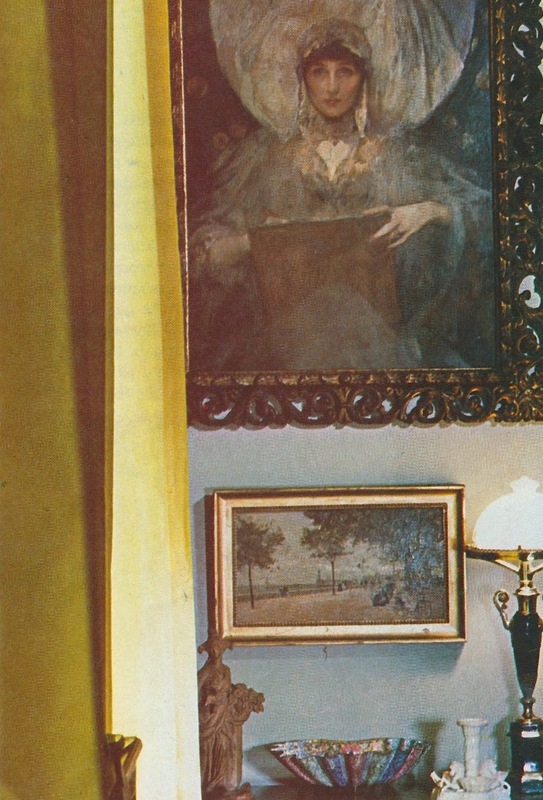 And that fabulous Shannon portrait, plus the Ambrose McEvoy in the Hall. Luke, I must track down photos of that loo. I'm intrigued! Also, I'm not at all familiar with Little Venice. Where exactly is it? I’ll dig out some photos and send them to you- think the loo’s also featured in “The English Room”, tho’ I may have made that up. 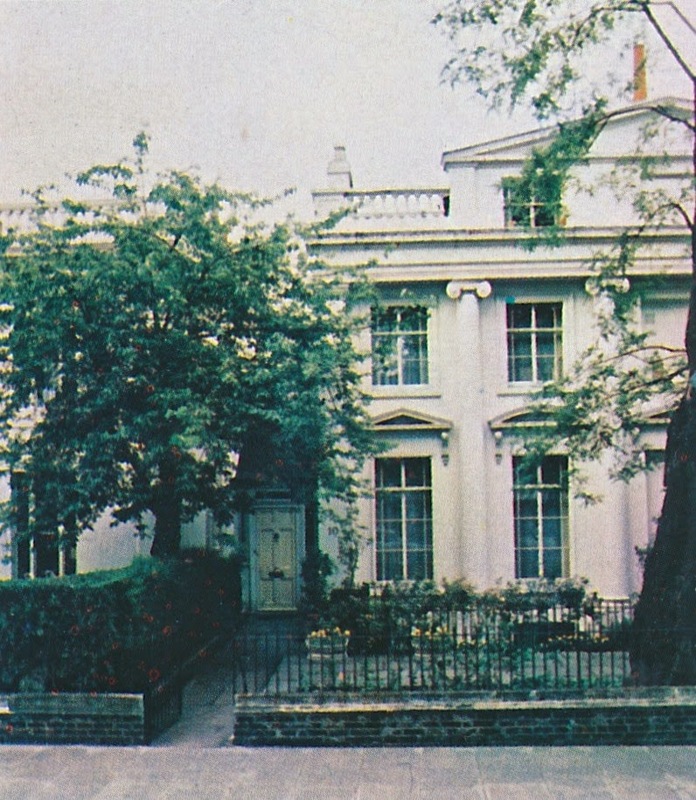 Ah, Little Venice: yours truly spent the first few months of his life in Blomfield Road, which runs off Warwick Avenue. It’s one of my favourite areas of London. Just north of Paddington and Hyde Park. Full of white stucco early Victorian villas, lovely gardens (Clifton Nurseries, very famous garden centre there). Interesting residents, including Lanning Roper, the garden designer. It’s called “Little Venice” because the stucco villas look on to the Grand Union Canal, and there’s a canal basin- if you stretch your imagination, it might, just, possibly be like Venice. Sort of. Think it was called that by Robert Browning, the poet- will have to check. Luke is absolutely correct-- the loo is featured in the pages of The English Room by Derry Moore and Michael Pick, and it's quite wonderful! I have a feeling that the Battersby panels may have been re-installed in John Julius’s (son) house next door. Thank you for the wonderful pictures. Can't help but contrast these rooms with those in the "Little Versailles" post - the Paris apartment looks so heavy, so impersonal, so over-done by comparison. Just noticed the military medal with rosette just stuck onto one of the murals with a pin! Really enjoy seeing this glimpse into Lady Dian's personal life. She certainly lived in a beautiful home!